Pharmacy is the art and science of preparing and dispensing medications and drug-related information to the public. A pharmacy technician plays an increasingly important role in the operation, giving pharmacists the freedom to counsel patients, adjust and renew medication orders based on their expertise, and provide other services that the community needs. 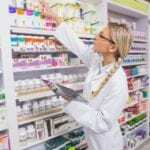 Pharmacy technicians today do much of the duties of the pharmacist, including monitoring dosages, updating medical records, compounding mixtures, managing the cash register, answering the phones, managing stock, packaging and labeling medications, and preparing sterile products like intravenous mixtures. Certification as a pharmacy technician is not mandatory for employment in New York. However, it is a valuable tool for pharmacy technicians to improve their career prospects. Certification increases the technician’s prospect of employment in a competitive environment, supports confidence in practice, and creates opportunities to grow in the profession. Certified pharmacy technicians have a greater chance of employment in hospital pharmacies. According to the Bureau of Labor Statistics, employment for pharmacy technicians is expected to increase by 11 percent from 2016 to 2026. 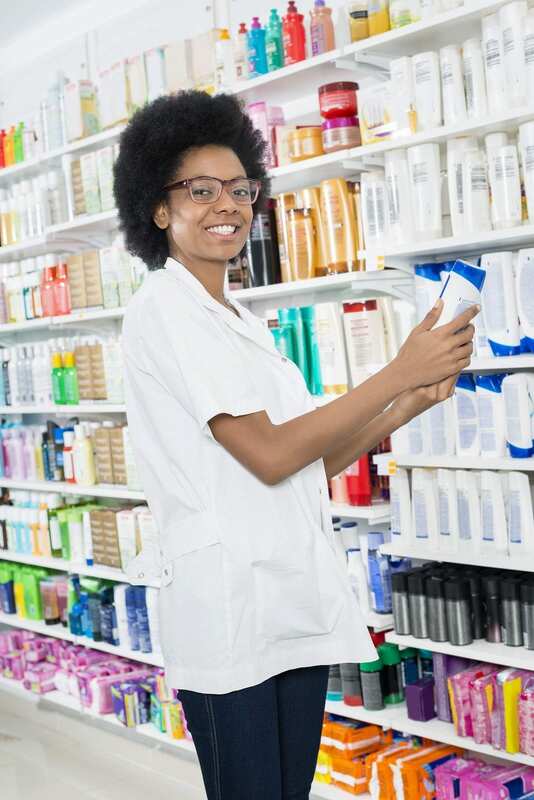 If you’re looking to change careers or get into an exciting field where employment is stable and the training is short-term and affordable, a career as a pharmacy technician may be just what you need. You’ll get the satisfaction of providing patients with safe and reliable care, increase your earning potential after certification, and enjoy a stable position in an in-demand profession. The average earning for pharmacy technicians in New York is $33,490. The 250-hour pharmacy technician course at New York Medical Career Training Center prepares students to assist pharmacists with the mixing and packaging of prescriptions. The curriculum includes theory and clinical training. Theory includes the history of medicine and pharmacy, basic anatomy and physiology, classification of drugs, pharmacology, pharmacy law and ethics, hospital pharmacy, basic sciences for pharmacy, complementary alternative medicine, and psychopharmacology. Instructors will also emphasize development of skills, such as prescription processing, dosage forms, route administration, pharmacy calculations, aseptic techniques, skin care products, pharmacy stock, repackaging and compounding, billing, and computers. Students also learn procedures for maintain customer records, receiving and dispensing prescriptions, and stocking medications. Before the program concludes, instructors will provide information students need to pass the National Certification Exam. Morning, afternoon, evening, and weekend schedules are available. Morning classes and afternoon classes meet Monday through Friday for 5 weeks. Evening classes meet Monday through Friday for 6 weeks. Weekend classes meet Saturday and Sunday from 8 weeks. Tuition, books, and fees cost $1,159. The pharmacy technician training program at Alliance Computing Solutions helps students develop an understanding of the pharmacy operation to work in various pharmacy settings. Graduates will qualify for employment in home health care pharmacies, community pharmacies, hospital pharmacies, and nuclear medicine pharmacies. In addition to theory, the program gives students hands-on experience in working with prescription medications, receiving verbal prescription orders, and preparing medication labels. Students will master the skills that employers want, including transcribing doctor’s orders, safely handling of medications, authorizing prescription refills, filing insurance claims, and preparation of sterile products. The curriculum covers 125 hours of instruction in pharmacy practice, routes and dosage, top 200 drugs, pharmaceutical terminology and abbreviations, pharmacy ethics, basic bio pharmaceutics, community pharmacy calculations, parenterals, institutional pharmacy calculations, and drug regulation and control. Other topics include financial issues, inventory management, introduction to computing, classroom work simulation, HIPAA, and certification review. Contact the school to find out more about the cost of tuition and schedule. The New York Institute of Medical Careers facilitates a pharmacy technician program to prepare students for employment in a pharmacy setting. The curriculum covers 130 hours. Graduates will receive a Certificate of Completion and will have the option to sit the National Certification Examination to demonstrate professional excellence in the field. In addition to classroom theory, students may participate in an optional pharmacy internship at Walgreens Pharmacy. Course topics include drug interaction, the history and profession of pharmacy, pharmacy terminology and abbreviations, pharmacy law and ethics, and dosage form and administration, Other topics include management of pharmacy operations, pharmacy compounding, hospital and advanced pharmacy, basic math and measurement system, dosage calculations, computer applications, safety in the workplace, drug classification, and financial management and health insurance. Classes meet Monday through Friday from 9:00 am to 2:42 pm for five weeks. Tuition for the program is $749. Books and registration cost an additional $150. An easy payment plan is available for all students. A down payment of $250 is required, and the balance is payable in weekly installments. New York Center for Medical Assistant Training employs step-by-step instructions to prepare students for employment in a pharmacy setting. The program covers 130 hours in the classroom followed by 120 hours of pharmacy externship. Classroom theory covers anatomy and physiology, classification of drugs, basic sciences for pharmacy, pharmacy law and ethics, retail and hospital pharmacy operations, pharmacology, and alternative medicine. During the pharmacy externship, students will learn route administration and dosage forms, pharmacy calculations, repackaging and compounding, processing of prescriptions, OTC medications, aseptic techniques, pharmacy stock, skin care products, billing, and pharmacy computer systems. Instructors will also provide the information needed to succeed on the National Certification Exam. Morning classes meet Monday through Friday from 9:00 am to 2:00 pm for 5 weeks. Evening classes meet Monday through Friday from 5:30 pm to 9:40 pm for 6 weeks. Tuition, registration, and books cost $1,119.